Are you tired of going to the bank for a mastercard, filling out a lot forms and answering a lot of questions? 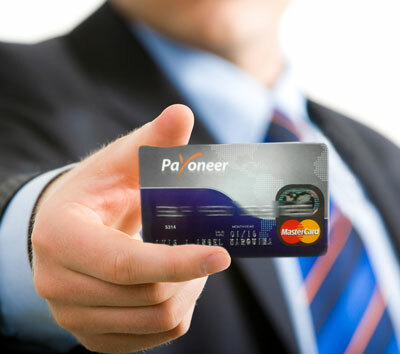 Receive a payoneer debit mastercard to receive payments and make payments internationally. Working directly with clients? You have the option now that your clients can transfer your funds directly to your card. You can also transfer funds to make payments to your supplier. Earning money is also possible because payoneer is also linked with a lot of online businesses such as Adfly, 99designs and many more. You can apply for online jobs and possibilities wit companies who are already linked to payoneer such as freelancing, e-commerce, online advertising, stock photography, vacation rentals and internet payment services. Also, earn some money by being a payoneer account holder. Receive USD 25,00 by referring someone. Check out the details in the link below.